Unwind in comfort with the inviting and elegant design of the Flannel Seal 2 Piece Sectional with LAF Sofa by American Furniture Manufacturing. This sectional has a stylish look and inviting feel thanks to its clean lines, flared arms, loose back pillows and cozy LAF sofa. 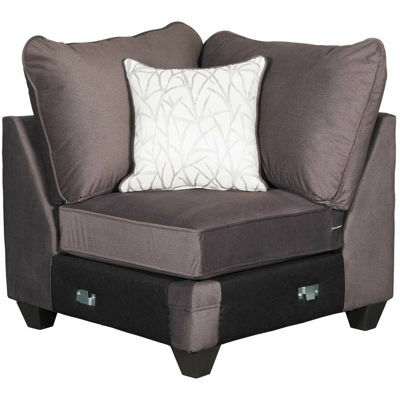 Soft, polyester upholstery in a dark gray seal color coordinates with silvery birch-patterned accent pillows for a put-together appearance. Unwind in comfort with the inviting and elegant design of the Flannel Seal 2 Piece Sectional with LAF Sofa by American Furniture Manufacturing. Flannel Seal 2 Piece Sectional with LAF Sofa from American Furniture Manufacturing. 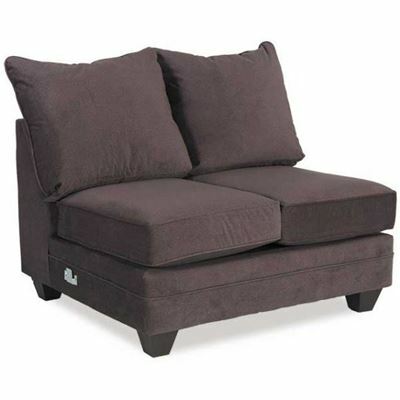 Sectional includes 1 left arm facing sofa and 1 right arm facing loveseat.